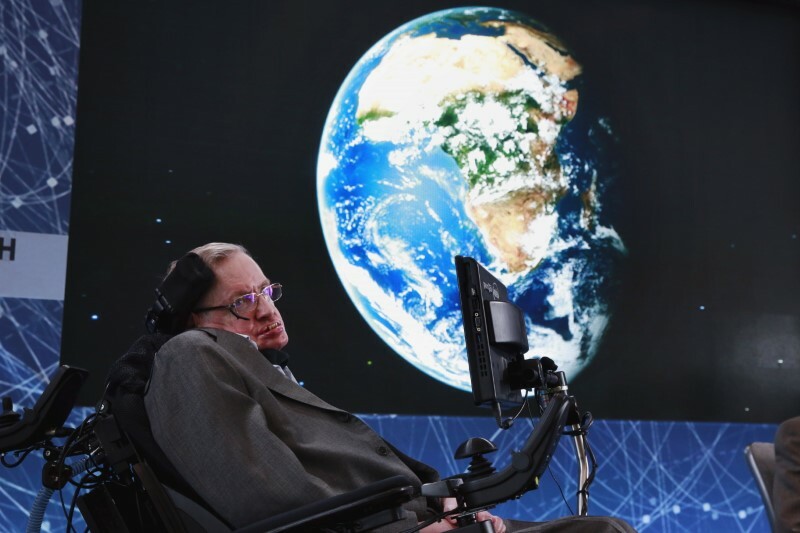 The voice of Stephen Hawking will be beamed into space in a message of peace and hope on Friday as the British physicist is laid to rest during a service at London’s Westminster Abbey. The wheelchair-bound scientist who died in March aged 76 after a lifetime spent probing the origins of the universe and mysteries of black holes, suffered from motor neurone disease which forced him to use an electronic voice synthesizer. His ashes will be interred between major British scientific figures Isaac Newton and Charles Darwin at the abbey, a 1,000-year-old location made famous worldwide for generations of royal coronations, weddings and funerals. Members of the public from over 100 countries, selected by a ballot, will join friends and family for the service which will include a reading from actor Benedict Cumberbatch, who played Hawking in a 2004 BBC film. The physicist’s voice set to a piece by Greek electronic music composer Vangelis will be broadcast by the European Space Agency later on Friday. The broadcast will be beamed towards the nearest black hole, 1A 0620-00, which lives in a binary system with a fairly ordinary orange dwarf star, his daughter Lucy Hawking said in a statement. “It is a message of peace and hope, about unity and the need for us to live together in harmony on this planet,” she said.